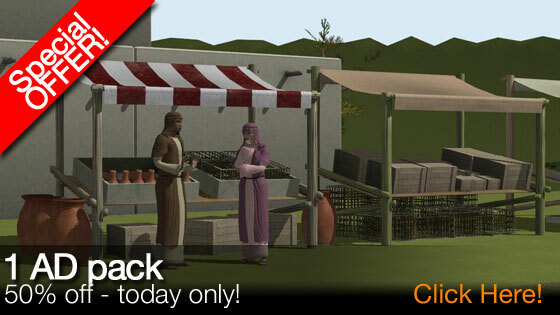 Today only: since it's Easter, we're offering the 1AD pack for 200MSP - that's just $2! The ability to crucify someone would make a great extra, y'know. Also, you need to correct the link. It goes to the classroom pack.